We delve into someone’s record collection and talk about the music they love and the life they lead. Hosted by Joey Watson. Full playlists for the weekly show can be found here. Fiona Wright is a writer, poet and critic from South Sydney. While attending university at the age of 19, a malicious version of anorexia struck. One that would define her life today. She is now an essayist and poet — reflecting on her experiences. Her book of essays, Small Acts of Disappearance, won the 2016 Queensland Literary Award for non-fiction, and her poetry collection, Knuckled, won the 2012 Dame Gilmore Award. Fiona joins Joey on Out of the Box to discuss growing up, her experience in hospital, and living in Sri Lanka. Ella Dreyfus is a photographer with an impressive career spanning over 30 years. Her work is often confronting and deals with issues as conceptual as masculinity to as real as the holocaust, and the shadow it has cast over her family history. Ella is now a Senior Lecturer and Head of Public Programs at the National Art School in Sydney. Sara Mansour is a lawyer, poet, co-founder and director of Bankstown Poetry Slam. Sara uses her art and passion for justice to empower others through poetry. Sara Mansour, the oldest of eight children, was born into a traditional Lebanese family. She would attend Arabic school each week, learning and memorising the Qu’ran. At the time it was unveiled, it was seen as a collection of poetry, which allowed Sara to feel reconnected with a part of herself when she started performing poetry. In high school, Sara’s love and interest in rap and hip-hop were born from trying to fit in with the people around her and reconcile her place in Australia as "other". However, this leads to her developing her interest in writing poetry and what would result in co-founding the Bankstown Poetry Slam. Sara most recently has co-founded her own company Alepha where she hopes to engage with diverse writers, speakers, thinkers and teachers in meaningful opportunities. Sara joins Joey on Out of the Box to discuss being raised by migrant parents in Australia, the Christchurch attacks and how she plans to make a difference to society. Eddie Woo is an Australian mathematician best known for his YouTube Channel focused on explanations of math problems, live from the classroom. Eddie’s parents placed a lot of importance on education, as they had packed up and left Malaysia to give their children better prospects. So when Eddie told them he wanted to be a teacher, they weren’t exactly thrilled. However, having over half a million subscribers on his YouTube channel and a ‘master teacher’ with the NSW Department of Education, Eddie’s parents are more than supportive. Eddie is not only teaching students to love mathematics, but he is also influencing the role of the teacher in the classroom. Eddie joins Joey on Out of the Box to discuss fitting into Australian culture, his struggles at school and his philosophy to teaching. Nikhil Autar is a 25-year-old social entrepreneur, writer, speaker, medical student, and survivor of childhood cancer. Growing up Nikhil's dad made him watch every episode of M.A.S.H, where the character Hawkeye inspired him to become a doctor due to his humour and caring for fundamental human rights. However, in the first term of year 12 Nikhil's health was declining, where it was later discovered he had leukemia. Nikhil went through 21 cycles of chemotherapy, two bone marrow transplants, and the highest dose of radiation allowed before a bone marrow transplant. Remarkable, Nikhil is now in remission, and nothing is slowing him down due to the healthy mindset he instilled in himself during treatment. He has won the Student Start-Up on the year in 2018 and is on the NSW brand of the Sydney Youth Cancer Service advisory committee. This is all while he completes his childhood dream of becoming a doctor. Nikhil joins Joey on Out of the Box to discuss living with an uncle with cancer, his own journey and where he is at now. Clementine Ford, is a prominant Australian feminist, writer and broadcaster. With two books, and a large social media following, Clementine is to the point in calling out sexism, and harpering on the importance of Feminism. Growing up, Clementine and her family were constantly moving from country to country, which brought on a heap of mental health struggle. These struggles followed her through her pregnancy, but she has taken it in her stride to talk about these tabbot issues, and let people know they are not alone. 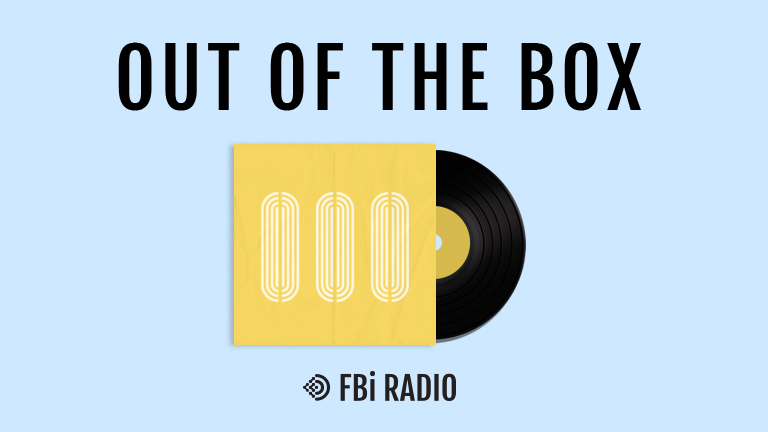 Clementine joins Joey on Out Of The Box to discuss her youth, her relationship with her family, her mental health journey, and how she became the loud feminist icon she is today. Aunty Norma Ingram is a proud Indigenous woman, who was at the centre of the black movement in Australia in the 1970s, and is still fighting for Aboriginal rights now. Aunty Norma is a Wiradjuri woman born in Cowra NSW and raised on ‘Erambie’ Aboriginal Reserve. Although the youngest of 11 children, her mother never failed to encourage the importance of education, and the impact it can have on a person’s life. She is the first Australian Indigenous woman to graduate from Harvard. Heavily involved in the Foundation for Aboriginal Affairs, and influenced by the Black Panther movement coming out of the US, Aunty Norma became involved in the Children’s program, which integrated Aboriginal culture into its learning programs. Aunty Norma joins us today talking about her childhood, the genesis of self-determination, to her current campaign to become the local member of Newtown. Eva Cox is a woman who likes to push for change from the outside in. Eva is an activist, a feminist, socialist and social commentator. Eva Cox was born into a Jewish family in Vienna, just weeks before Hitler marched into Austria. She grew up as a refugee in England with her mother, but her family eventually settled in Sydney, Australia, where Eva was once again on the outskirts of a new place. Placed on the outskirts once more, this didn’t stop Eva from being a strong woman but rather pushed her to create change within society. Eva has dedicated her life to elevating the status of women, particularly migrant women due to her own experience. On her personal website, she refers to herself as a "political junkie" and explains her passion for activism by suggesting, "My father used to embarrass me and adolescent friends by asking what we had done to save the world that day, so maybe it's genetic to feel that if something is wrong, I should try to fix it." Mojo Juju draws inspiration from Jazz, early blues and Latin American ‘Pachuco’ culture of the 1930s and 1940s. Her latest album Native Tongue, discusses identity politics are coming from a place that is accessible to all — not just academics. Stella Donnelly is an Australian musician from Perth, Australia. Donnelly started off singing Green Day songs in her high school rock band. This eventually leads to her interest in jazz and contemporary as an adult studying at the West Australian Academy of Performing Arts. After two whirlwind years of international record deals, massive spots, and calling out bulls**t, Stella is preparing to release her debut album.